Villagers are being asked to vote again, this time in a Parish Poll, with regards the proposals for sports pitches and a community centre on the Parish Council owned land to the north side of the Milton Road. Cherwell District Council has confirmed to Adderbury News that a number of villagers on the electoral role submitted the request following the annual Parish meeting on April 4. Villagers were surveyed on the same subject by the Neighbourhood Plan team less than twelve months ago. 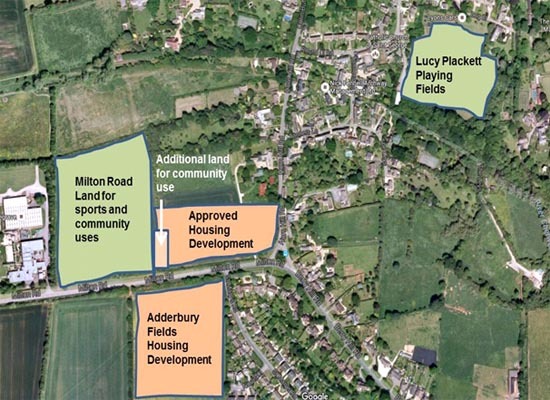 Some are questioning whether this is simply the latest attempt by people living near the proposed development to derail Adderbury Parish Council’s proposals for sports pitches and leisure, which were formed through the Neighbourhood Plan process. Former County Council Leader, and now Adderbury Parish Councillor, Keith Mitchell CBE claims on his blog that of the 26 electors asking for the Poll 12 gave their address as Horn Hill Road, 4 were from Norris Close, 3 were from the Adderbury Fields development, 2 from Berry Hill Road and 2 from Tanners Lane. Only 2 lived outside this area. The survey was initiated by Stephen Betts of Tanners Lane. Mr Betts believes the Neighbourhood Plan team’s work was not valid. He told Adderbury News, “The previous survey, in addition to being very poorly advertised, only allowed one response per household. In the average household of two adults and two children, who had the casting vote? The big difference now is that every registered voter will have a say in how the issue is decided”. However the Parish Council are concerned the question being asked is not a true representation of what is being proposed. A statement from the Parish Council explains, “[The Poll question] suggests that the Parish Council intends for this to be exclusively for football, which is not true. The Parish Council has agreed to set-up a Working Group to investigate how the land could be used, under the legal restrictive covenant, not just for football, but other sports too”. The statement indicates the Parish Council’s early plans already have support from others in addition to the village’s football club: “There are other groups in the village who have already indicated that they would potentially use the Hall for their meetings and other indoor sports/fitness sessions. There would also be provision of car parking on the site”. Parish Council Chairman Diane Bratt told Adderbury News that despite the costs incurred by the village in organising the Parish Poll it appeared Cherwell staff would not validate the validity of the question. Mrs Bratt told us, “The question is biased against football and it is also not what Adderbury Parish Council intends for the land anyway. I posed all of these points to Cherwell District Council but they said all they can do is check it is a yes/no question”. "With a misleading question it is difficult to see this Poll being of any real value. However if residents were to consider a yes vote to be for what we are actually proposing - all sorts of sport on the land, including (but not exclusively) football, together with a decent community centre - then I would strongly urge them to vote in favour of what would be of huge benefit to all villagers." A spokesperson for Cherwell confirmed they did not validate the question and told Adderbury News, “Cherwell District Council has no discretion to make a judgement on the question’s accuracy or otherwise”. Mr Betts stands by his question and told us, “Adderbury Parish Council and individual councillors have made it abundantly clear that football pitches and associated buildings are at the forefront of their intentions for the land in question. A few days ago on Adderbury.org the APC stated the following: ‘Whatever the outcome of the Parish Poll, the Parish Council believes that football should be part of this site, although not exclusively and it hopes that residents will support the inclusion of football, as well as other sporting activities on the site.’ The phrase ‘Whatever the outcome of the Parish Poll’ would seem to suggest that the Adderbury Parish Council are set on this course irrespective of the views of the village. The reason I called for the poll is because I am a firm believer in democracy. I believe that the whole village should have a say in this important issue which, if approved, will be a big commitment for the village. I would hope that the members of the APC are also believers in democracy and will accept the decision of the village, whichever way it goes”. A Cherwell District Council spokesman told Adderbury News the Poll result would not be legally binding. Councillor Mitchell suggested the Poll would have little value and writing on his blog said of the Poll question, “There is no answer to this question because there is no plan for football pitches and a clubhouse on this site. There is a view from a number of parish councillors that part of the land could be used for football pitches alongside other sports uses and in compliance with the restrictive covenant”. Councillor Mitchell continues, “There is also a view that this could be an opportunity to build a community centre to meet the needs of Adderbury’s 3,000 plus residents which could include changing rooms for sports generally but also to meet the needs of the wider community and the many organisations that meet in the village. None of this could happen unless there was a viable business case to demonstrate the facility would be self sustaining and without a call on the council tax”. Meanwhile others have expressed as to how the views of the next generation will be included in the Parish Poll. 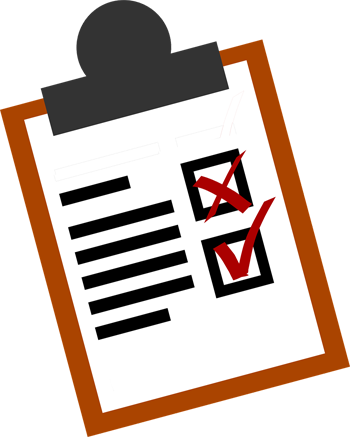 The survey method selected by the Neighbourhood Plan team allowed the views of those under 18 to be considered in the household response. The Parish Poll will only include those aged over 18 who have registered to vote. Adderbury News asked Mr Betts How he proposed to ensure the views of the youngsters in the village were included. He told us, “I would imagine that any concerned parents would have taken into account their children’s views during [the Neighbourhood Plan] survey and I have no reason to doubt that they would do the same this time”. Cherwell District Council have confirmed the Parish Poll will be held on Thursday May 11th between 4pm and 9pm. The venue is yet to be disclosed. No poll cards will be sent so advertising for the Poll will be almost identical to the previous Neighbourhood Plan survey, which was advertised on noticeboards, on village websites, in the library and via the Contact magazine, which is delivered door to door to every house in the village. Adderbury News asked Mr Betts how he plans to ensure a higher participation level to justify the expense. He told us, “A letter has been delivered to every house in the village so all residents are now aware of the poll. That is of a magnitude more than the efforts made to make people aware of the last survey, which was only done via the Contact magazine. Should people not choose to vote that is their right. That they be given the opportunity to vote is an obligation upon our elected officials”. Adderbury News asked Mr Betts if he had raised his concerns over the Neighbourhood Plan survey with the Chair of the Group, Sam Brown. Mrs Brown operated independently of the Parish Council. Mr Betts told us, “I attended the last two Parish Council meetings where I expressed my concerns over the methods in which the previous survey had been carried out. On both occasions I asked the council to seek the wishes of the village through a full and proper survey. On both occasions I was listened to and then completely ignored. I believe that the poll that I have called for is therefore justified. However one villager told Adderbury News, “This whole episode has a real parallel to the EU Referendum where the ‘remoaners’ want a rerun of the vote because they didn’t get the answer they wanted”. Cherwell District Council has yet to disclose the costs of the Parish Poll but has confirmed these will be borne by Adderbury Parish Council. The Parish Council is funded through residents’ Council Tax precept.